Writing for the New York Law Journal, attorneys Michael N. Rader and Jason W. Balich offer sound advice for selecting and working with expert witnesses in patent cases. Much of the wisdom they impart provides useful guidance when choosing an expert in any field, not just in patent litigation. Sometimes a single expert in a field stands out. A proven track record of testifying persuasively or unique knowledge of a field might make that expert the “go to” choice for the legal claim at issue. In some cases, both parties might want to hire that expert. The first one to contact the expert may walk away with the prize — the expert’s testimony. And even if the expert isn’t used, it may be possible to take the expert off the market by making a quick hire. Rader and Balich recommend starting the search for an expert right away. 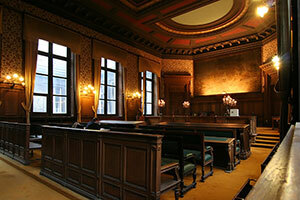 Plaintiffs may want to retain an expert even before they file suit. Defendants should search for an expert as soon as the complaint is served. The strongest expert witness is likely to be one who is familiar with the specific subject matter at issue. In a case involving patents, the best expert might be one who has worked with the specific technology that is the subject of the patent dispute. In a product liability case involving product failure, the best expert might be one who has designed similar products or who has worked with the materials from which the product was made. One way to find relevant experts is to review professional literature. An expert who has written about the technology that is involved in the dispute may deserve serious consideration. If that person is unavailable, he or she may have suggestions about others in the field who might be willing to provide expert opinions. Another way to find an expert is to look for cases that have addressed similar issues. Examine the testimony given by the experts in those cases. If their reports are available, review them to determine whether the expert was thorough and communicated facts, methodologies, and conclusions clearly. Of course, a good starting place to find expert witnesses is always ExpertPages. Academic credentials are important, but Rader and Balich suggest that equal or more weight be given to practical experience in the field. An expert with “hands on” knowledge may be in a better position to convey information to the jury than an expert whose knowledge is largely theoretical. Rader and Balich also advise lawyers to become familiar with the testimony the expert has given in prior cases. An expert who renders opinions that conflict with opinions the expert provided in other cases is more of a liability than an asset. It is also important to learn whether the expert has been subjected to professional or judicial criticism before making a commitment to retain the expert. An expert who has worked with or for the adverse party in the past may have a conflict of interest. It is important to determine whether conflicts exist before disclosing information that might have strategic value if it is disclosed to adverse parties. Every lawyer who regularly employs expert witnesses has encountered a disappointing expert who hasn’t done his or her homework. The lucky lawyers are those who find a disappointing expert testifying for the opposing party. Nothing hurts an expert’s credibility more than admitting a lack of familiarity with the facts of the case. When an expert is asked “Did you review Mr. Smith’s deposition?” and the answer is, “I glanced at it,” jurors wonder why the expert bothered to take the witness stand. Rader and Balich talk about finding an expert who will “spend the time necessary to master the issues in a case.” When testimony involves complex technical matters, the expert may need to devote many hours to studying the facts. When an expert must perform calculations or conduct experiments before arriving at a conclusion, it is important to find an expert who has time to devote to those tasks. If the litigation budget allows hiring more than one expert, it may be sensible to do so. Of course, multiple experts are necessary when different expert opinions are required for different aspects of the case (a liability expert and a damages expert, for instance), but even if multiple experts are focused on the same general subject matter, dividing the work so that each expert can focus on a specific question might be the most productive approach to a complex case.